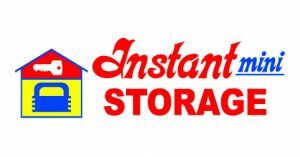 Instant Mini Storage Bakersfield, CA Since 1978! Instant Mini Storage has been keeping your personal belongings safe and sound for decades. Our clean and affordable storage units come in a variety of shapes and sizes to suit your needs. Does your furniture need to be stored between apartment moves and decorating? Is your business overstocked with file cabinets that need storage? Are you a student looking store your belongings between semesters? If you fall into any one of these scenarios, an affordable storage is a very good idea for you or your business. Take advantage of the storage services offered at Instant Mini Storage. Our storage facility is ideal for homeowners, personal storage, business owners, contractors, college students, and much more. We ensure that our self storage facility is clean, well maintained, safe and accessible. When you enter Instant Mini Storage in Bakersfield, CA you will feel comfortable right away with our self storage solutions. We require all tenants to enter their individual access code when entering our storage facility. This level of security allows for efficient tracking of who is coming and going and ensures that only actual tenants can be inside at any time. This feature is especially important as it gives you safe access to your storage unit even after the manager has left for the day. Second, our 24 hour recorded video surveillance in our storage facility ensures your safety at all times. When our property manager is not on-site, we have cameras that are recording and saving EVERYTHING to a hard drive. We can easily review footage if anything were to happen after hours. Our storage facility is open Monday through Friday from 8 a.m. to 6 p.m., Saturday from 9am to 5pm, and Sunday from 10am to 2pm. For more information, please call us today at 661-393-6464. We are located off Hwy 99 and Airport Exit in Bakersfield, CA.